Coming from a city where freeway driving is the norm, and SUV’s and minivans rule the roads, the slower and more relaxed pace of life in Europe is always a welcome and interesting contrast. Many European cities were designed long before the invention of the automobile, so the streets are narrower – and cozier. Costs for petrol and taxes on vehicle purchases are high, providing deterrents to car ownership, and zoning laws that allow for mixed-use building mean there’s often no need to hop in a car to do your shopping, or to get to school or a job. Urban planning that includes bicycle lanes and efficient public transport also helps to reduce the number of cars on the roads. The result is an environment that feels more natural and is friendlier and safer for pedestrians and cyclists. It also creates a need for smaller, more efficient modes of transport. 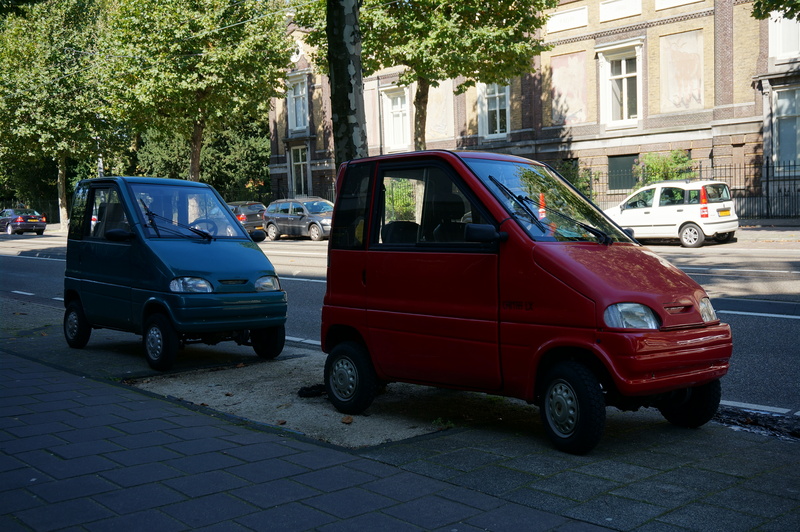 Strolling through my favorite European cities, it’s easy to spot many creative, alternative forms of transportation, as well as some well-preserved vintage cars that might not survive regular freeway commutes. Here are some snaps of a few of the interesting bikes, trucks and cars seen on a recent trip.